I’ve finally achieved sweaterdom. Clearly, I am rubbish at gauge, because all I’ve had in this department is Fail. 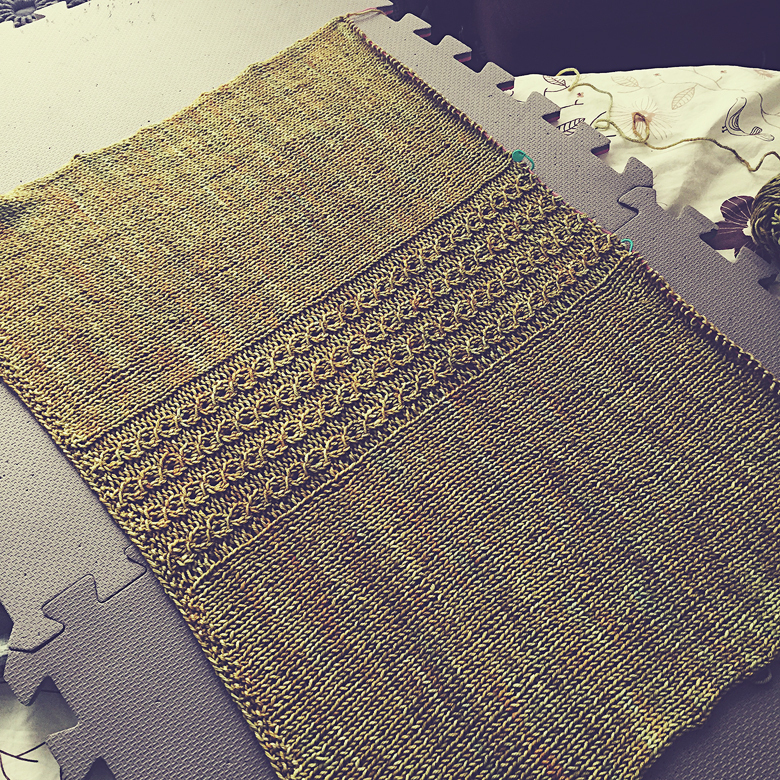 I bought 6 gorgeous balls of MadelintoshDK in a colour called ‘Filigree’ a few years ago, bent on creating my first successful sweater. My first attempt was the Effortless Cardigan. 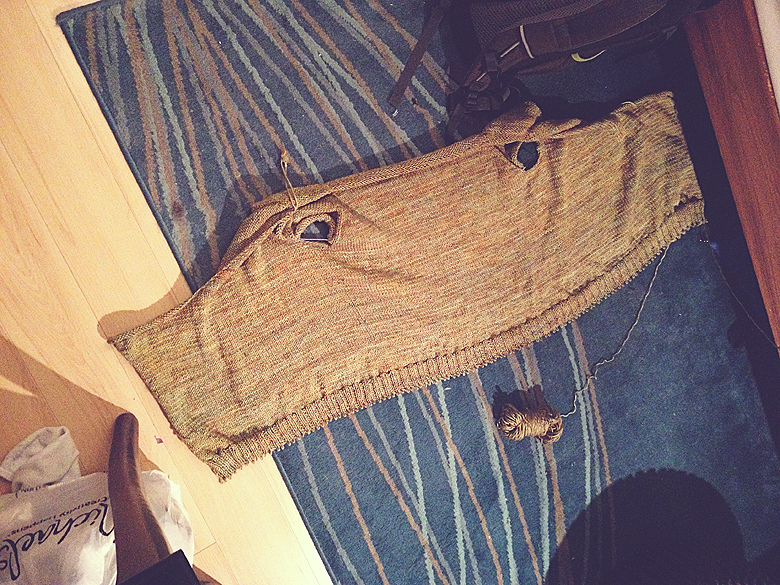 I got this far, realized it was sized to a rhino instead of to me, and frogged it. Attempt number two was the gorgeous Sous Sous sweater. I decided I would whip it off while driving from Toronto to Newfoundland (first sign of madness; there is no such thing as ‘whipping off’ a sweater). It too turned out to be a gauge disaster, and got frogged. I could have wrapped my entire body in just the front. Attempt number three (third time’s the charm, right?) 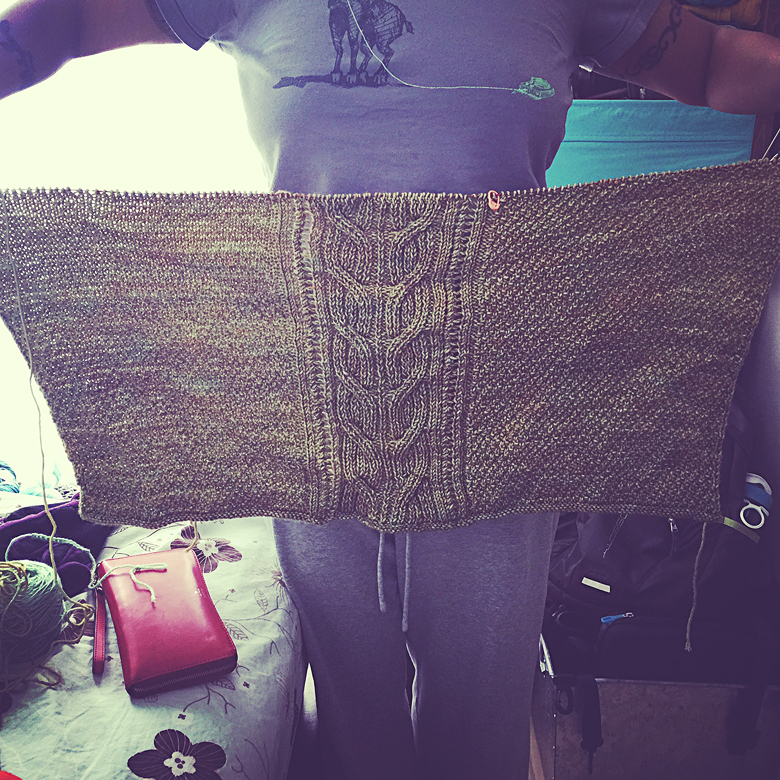 I started a Honeytree vest by Tanis Fiber Arts. 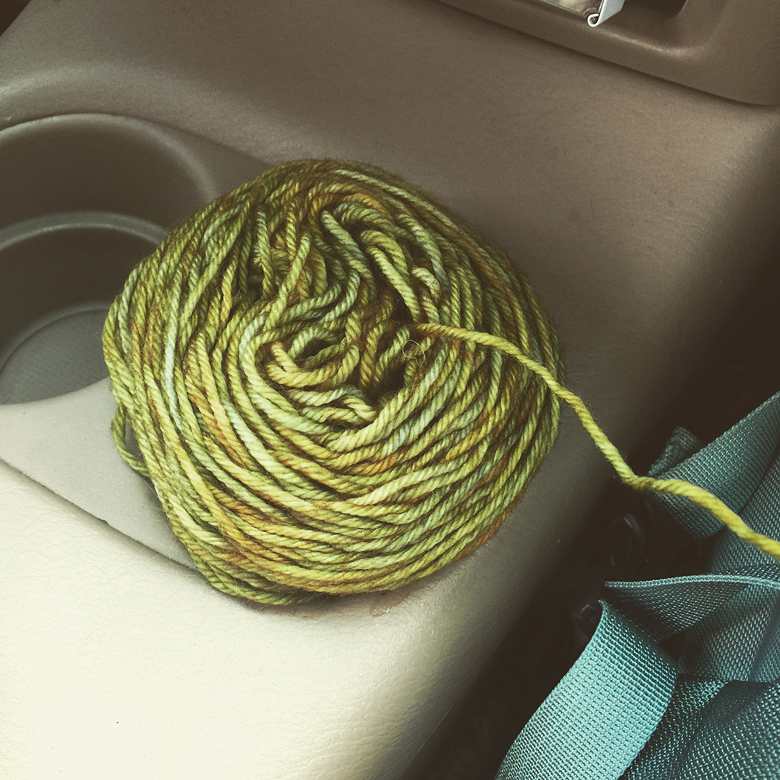 I swatched, I washed, I pinned, and I asked the advice of a few knitters on Instagram. I was on my way. Ravelry project page here. And success! The pattern is very well written and extremely easy to follow. 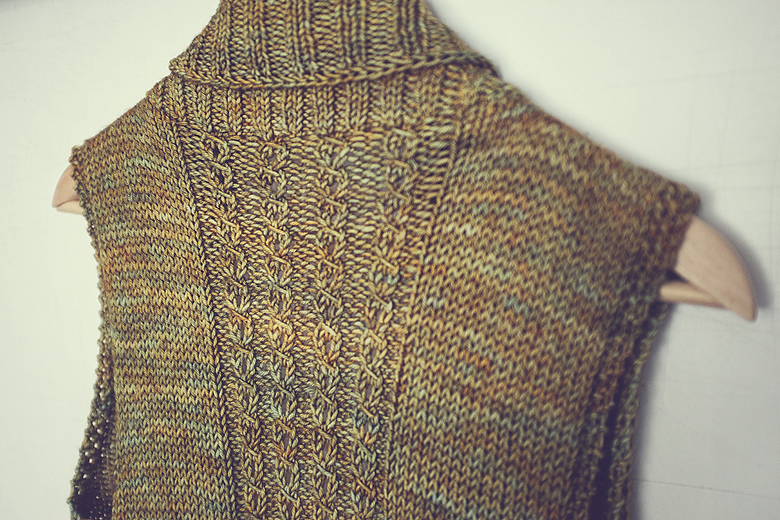 My only change, were I to knit it again would be to give myself a wider band of ribbing in the front, to compensate for my broad chest. The sweater fits perfectly in the back, but it’s never going to close, even with a belt. 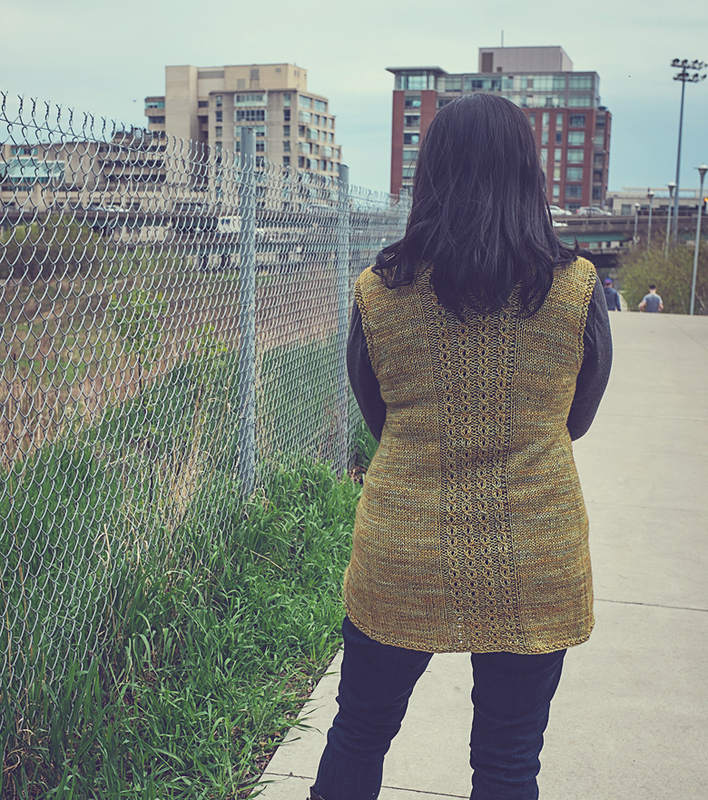 Though the weather is finally awesome, this is a great layering piece for cool evenings when you don’t want to resort to a jacket, but want something nicer than a hoodie. What are your favourite sweater patterns? Has anyone tried CustomFit by Amy Herzog? I’m super curious to try a sweater with her! Everyone I know who has ever knit a CustomFit sweater swears up and down it’s absolute magic…*the best* way to knit a sweater. I have a coupon code for one, but now that I am losing weight, it will likely be a while before I try it.